This recipe is really special, not only because my Mom and I whipped it together from memory, but because it is a recipe of my Grandma Walters. 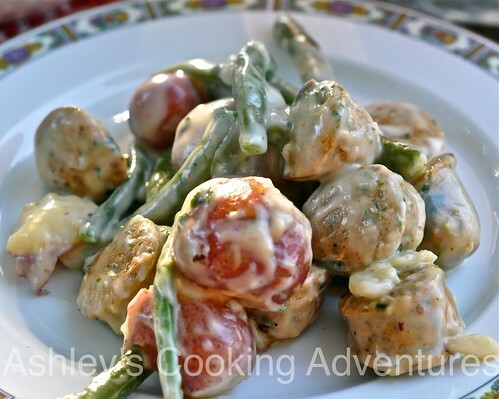 While making this with my Mom, and then tasting the creamy, peppery beans, potatoes, and sausage, I was flooded with memories and images of my Grandma and being in her kitchen. 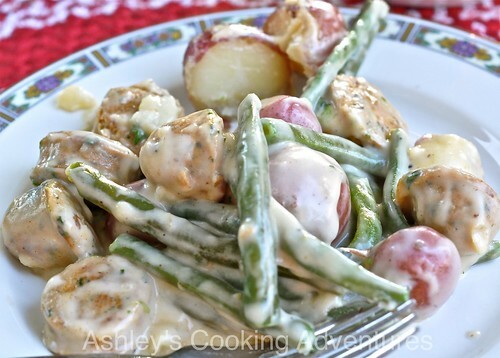 This recipe is best with fresh green beans and red potatoes, but works well with frozen green beans too. It is a wonderful way to highlight some of the beautiful summer bounty that is so readily available this time of year! 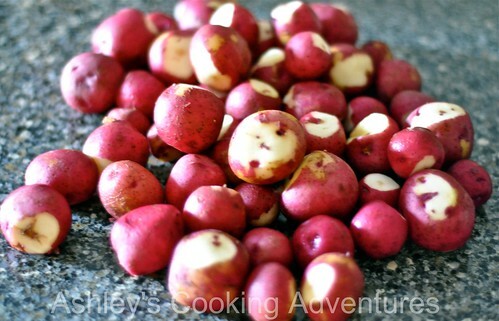 Bring a large heavy pot to boil and put in potatoes. 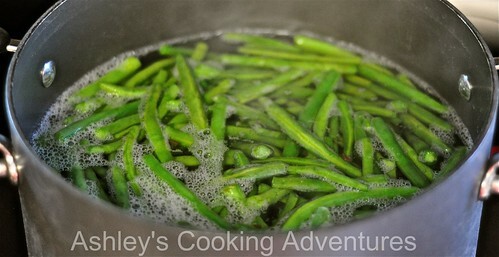 Cook for about 10 minutes and then add in green beans. Cook beans and potatoes about 10 minutes more, being sure to check both for desired tenderness. Begin the roux by heating the butter in a small pan over low to medium heat. Slowly add the flour to the butter, whisking constantly. The roux will begin to have a thick consistency, like frosting. At this point, slowly add the milk, about half a cup at a time. 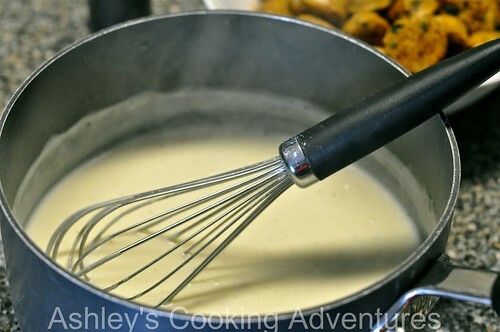 Continue to whisk quickly and constantly, adding the milk and keeping the heat at medium. Season to taste with salt and pepper. My family likes a lot of pepper in this, so we end up using about a teaspoon! Meanwhile slice sausage and saute in a pan with a drizzle of olive oil or cooking spray. Cook fully on both sides, about 5 minutes. Drain the beans and potatoes and then add back to the large pot. 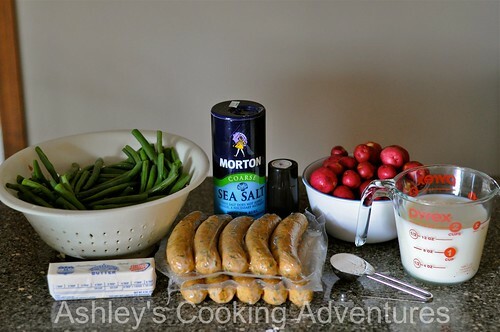 Place the sausage in the pot as well and mix together. 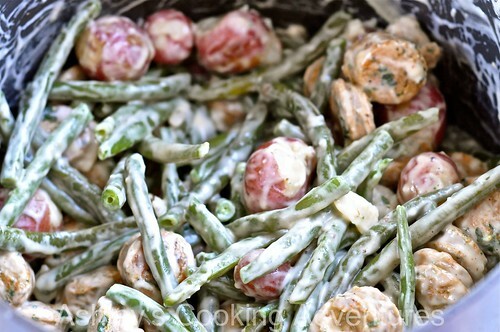 Pour the cream sauce over the entire pot and carefully combine. Serve immediately. Food always tastes best when there is a fond memory attached to it. Thank you for sharing a family recipe that is dear to you. It looks delicious! This makes about 8 main dish sized servings! We finally got around to trying this and it was a HUGE hit. We used spicy sausage as a substitute and it turned out great. The dish is so simple but the flavors are wonderful. Rory even loved it, and that kid is a picky eater! 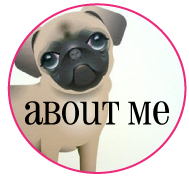 Welcome to my cooking blog! I believe that cooking should be fun, fresh, and easy! My blog contains tried and true family recipes as well as recipes I've only made once and were a hit! I love trying new flavors, ingredients, and dishes while my little pug Wendell hangs out in the kitchen with me. 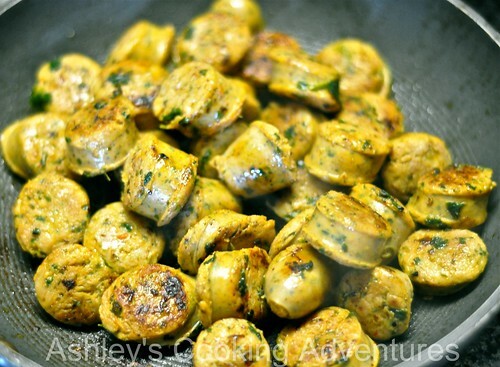 You can contact me at ashleyscookingadventures@gmail.com. I participate in Meatless Mondays!